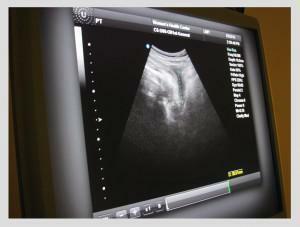 We provide in-office ultrasound services for your convenience and care. Having this option allows our providers to quickly address your problems and concerns. - 1 1/2 to 2 hours prior to your scheduled appointment time, empty your bladder. - 1 hour prior to your ultrasound appointment, you need to have completely consumed 16 ounces of water. DO NOT EMPTY YOUR BLADDER. Should you have any questions, please call us at (714) 378-5606.